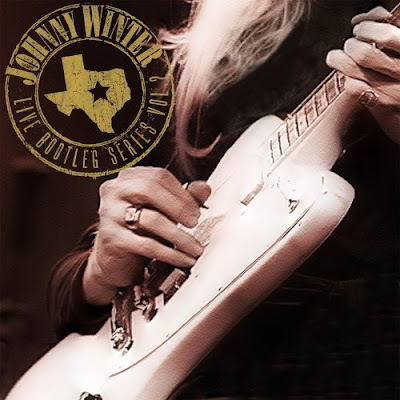 The vaults are open: Friday Music continues its series of vintage Johnny Winter live releases with Live Bootleg Series, Vol. 2, which will hit the streets on Tuesday, March 4. Tracks include "Black Cat Bone," "Parchman Farm," "Rock Me Baby," "Mississippi Blues," "Crossroads" and "Red House." Click here to read Goldmine magazine's interview with Johnny about the first release in the series. On the road: Johnny's next gig is this Friday (Feb. 8) at Mohegan Sun's Wolf Den in Uncasville, Connecticut. He'll enjoy some time off before hitting the west coast for a string of dates starting Feb. 20. In case you missed it: Johnny was featured on Scandinavian television during his European concert swing last September, during which he played a series of sold-out shows. The YouTube video can be viewed here.